The Acoustic Yard Music Festival has been nominated for an IMRO award. that the eleventh IMRO Live Music Venue of the Year Awards will take place on Tuesday 26th February 2019 at IMRO HQ in Dublin. 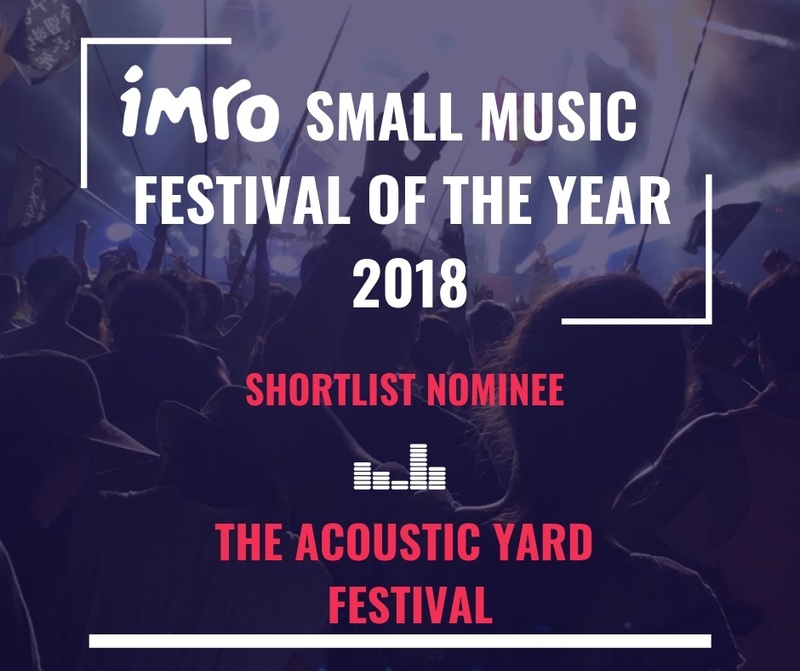 The Acoustic Yard has been nominated in ‘The Best Small Festival’ category announced by Victor Finn (IMRO Chief Executive). The annual awards celebrate the dedication and passion of those who work in Ireland’s live music venues, providing the public with an exceptional live music experience on a weekly basis. Previous PostThe Pale at The Acoustic Yard Music FestivalNext PostThe Pale, Morrissey & Marshall and Aoife Scott Headline 2019 Festival.